Samsung today announced the Galaxy S7 edge Olympic Games Limited Edition smartphone. 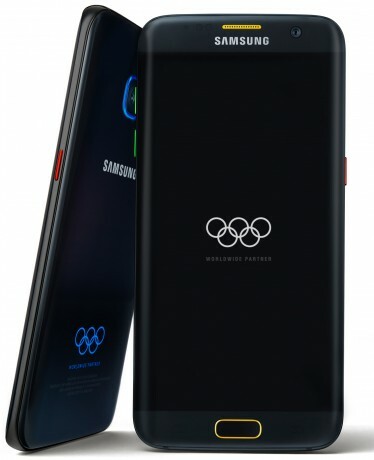 The hardware is identical to the consumer version of the S7 edge, but the Olympic variant packs lots of content specific to the Rio 2016 Summer Olympic Games. Samsung says the colors of the Olympic Rings will be featured widely throughout the user interface, such as the home/lock screens and notification bar. The device will also include Olympics-themed wallpapers. Samsung plans to give 12,500 of the devices to athletes along with the Gear IconX Bluetooth headphones. A limited number (only 2,016) of the Olympic-themed Galaxy S7 edge will be made available to consumers in Brazil, the United States, China, Germany, and Korea. Samsung said the Galaxy S7 edge Olympic Games Limited Edition will be available beginning July 18th, but it did not disclose pricing. The standard model costs $770.